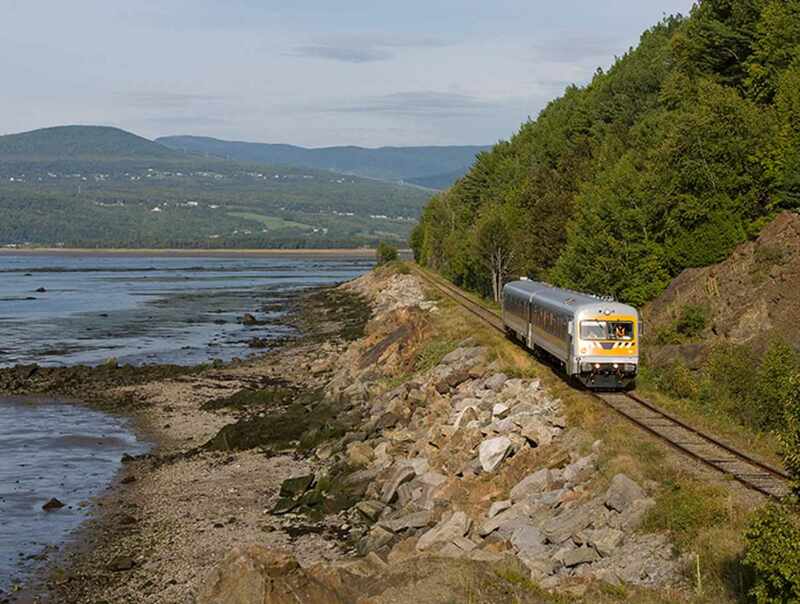 The Train de Charlevoix criss-crosses the Saint-Lawrence's shore revealing otherwise inaccessible roads. 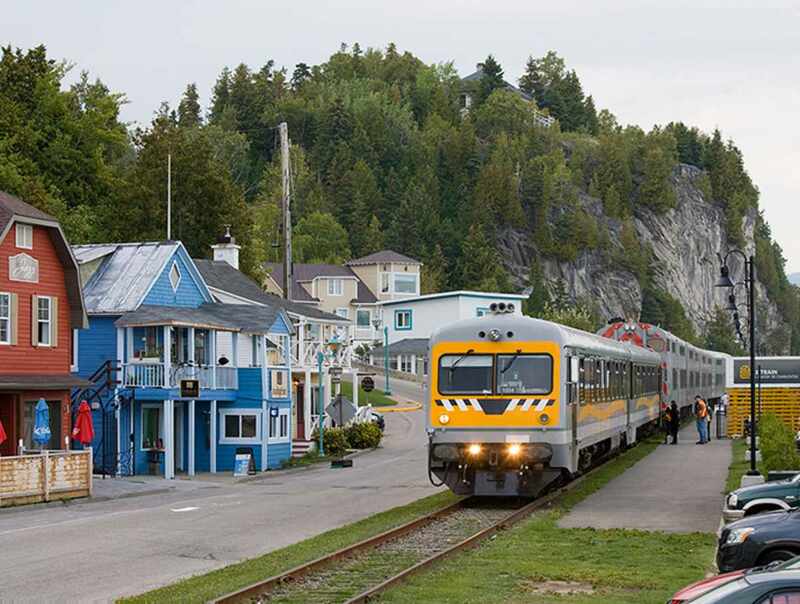 Traveling between Québec City and La Malbaie over more than 125 km, the train stops in 7 towns and coastal villages. 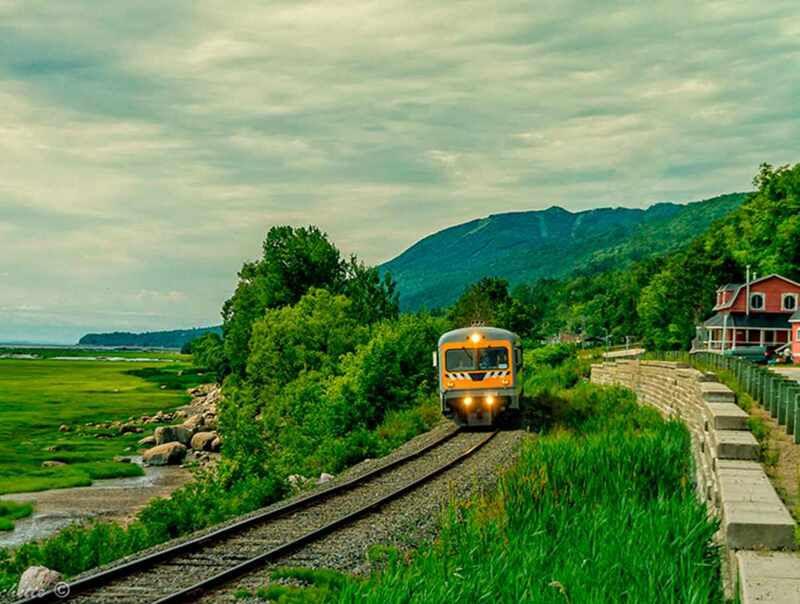 Whether for a short getaway with the kids or for a few romantic days, there are several scenarios to choose from. Friendly service: possibility to sample the terroir products from the appetizers and cocktails menu. 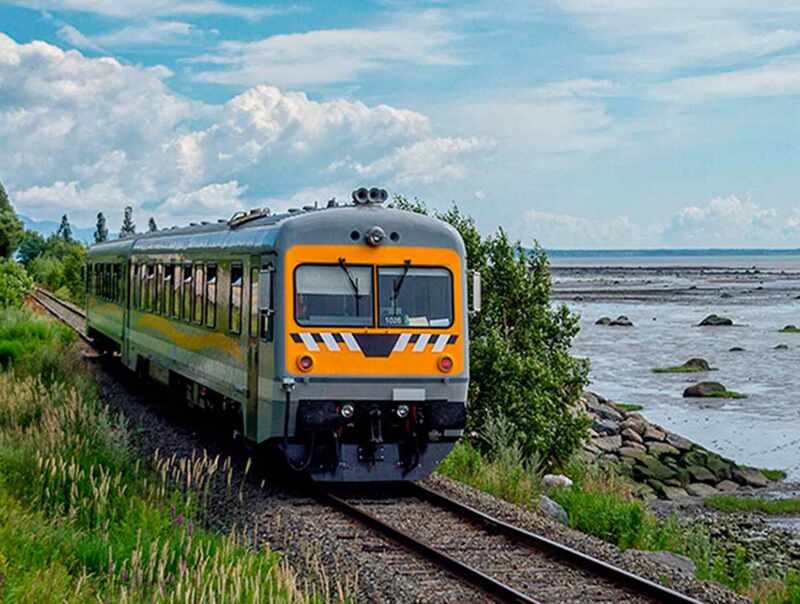 This summer, a new shuttle bus links downtown Québec City to Gare de la Chute Montmorency Railway Station! 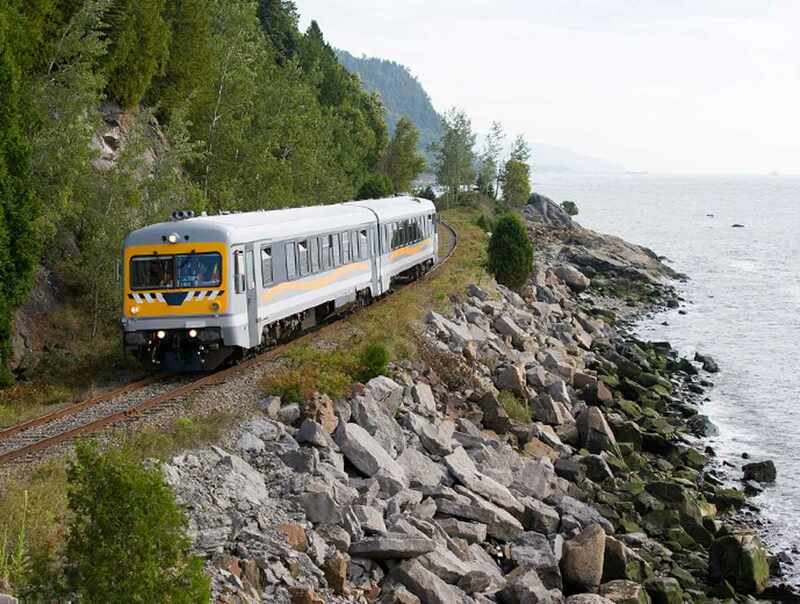 Hours: summer season, June 16 to October 21, 2018.